Above and below. 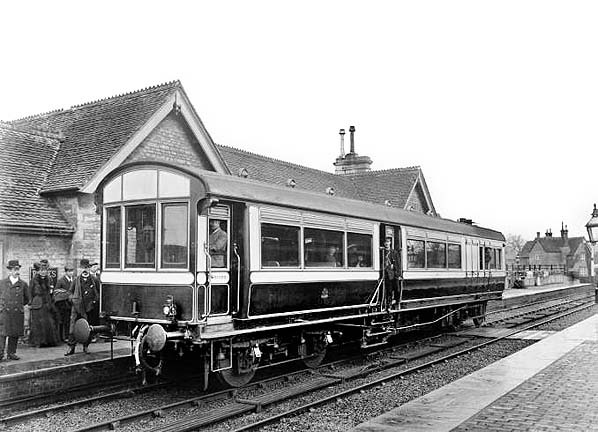 LNWR steam railmotor at Bicester London Road station c1910, Steam rail motors, which incorporated a steam engine with a passenger saloon in a single vehicle were a response to the need to reduce costs on railway lines with low passenger traffic. They were tried by many companies in Britain and this example was built in either 1905 or 1908. 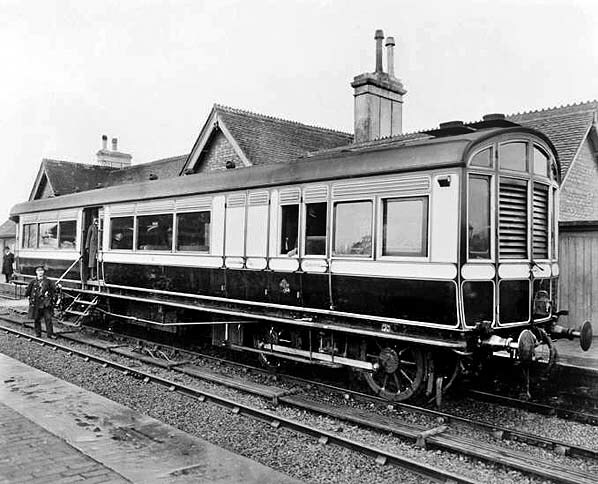 Rail motors were used on short-haul journeys on local branch lines in the hope of competing with tram and bus services, which were taking customers from the railways. The earliest rail motor, Eagle, was first used in 1847 on the Eastern Counties Railway, and was powered by steam.